Within walking distance of many restaurants and shops and just a drive to a day's worth of activities, the Four Seasons is a small, boutique-style resort across from the beach on Seawald Boulevard. The Four Seasons offers a quiet respite from the day's activities. Enjoy the views from your home away from home at the Four Seasons. Spectacular Gulf sunrises are only the beginning to your day in Galveston. On-site, enjoy the resort's pool and children's playground. 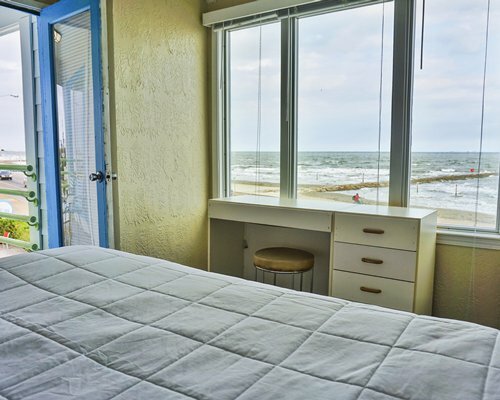 The Four Seasons at the Gulf is a hotel with 2-bedroom units that sleep up to 6 people. 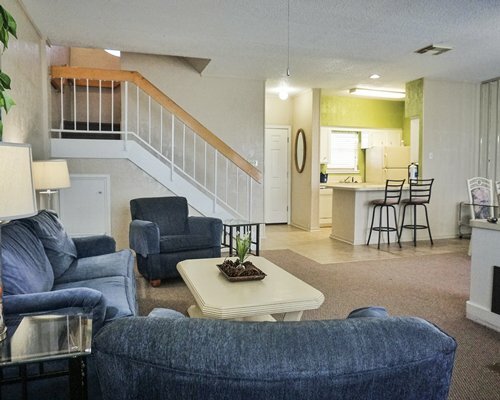 All units are carpeted, have full kitchens with a dishwasher and microwave and air-conditioning. Galveston now enforces paid parking along the Seawall and has other parking restrictions on adjacent streets. Resort guest will need an additional parking tag if you have more than 2 vehicles. Additional fees apply for more than 2 vehicles. Bicycle rental and valet laundry service avaialble for a fee-contact resort for details. A computer center in the office is available for guest use. Occupancy limit is strictly enforced, vilations will be charged $100 per night. 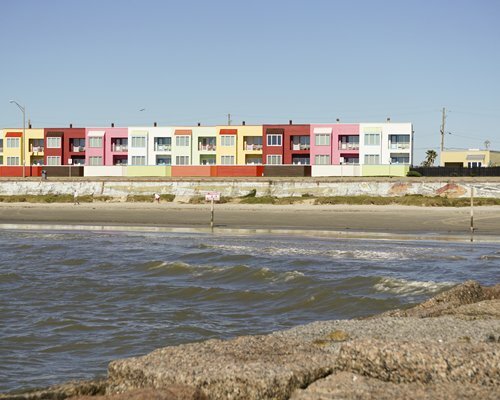 Discovered by a pirate, Galveston has a similar rebellious attitude to being purely Texas. It is said that everything that happens in Texas, happens first in Galveston the first post office, opera house, hospital, golf course, and country club in the state. 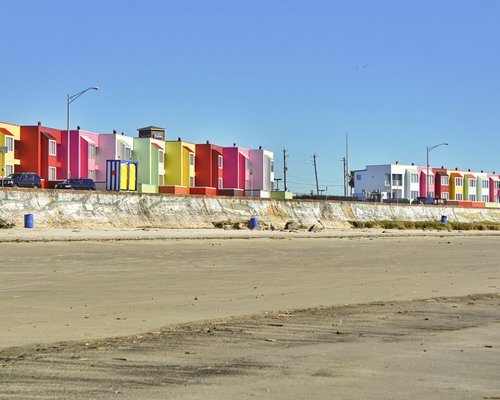 Today Galveston draws visitors for its mix of Southern charm, Gulf views, beaches and nightlife. 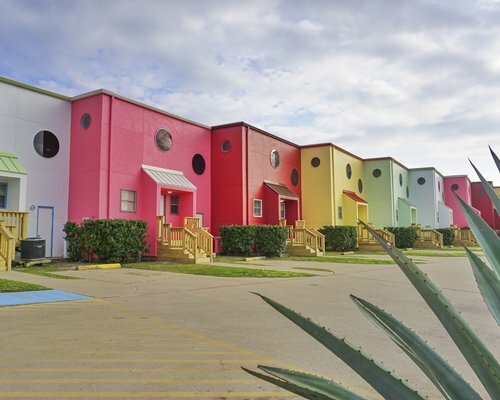 Come take a historic tour, enjoy the Victorian architecture, visit Moody Gardens or Schlitterbahn, take a portside cruise, enjoy restaurants known for their creative flair, or party into the night at any of the area's nightclubs. The nearest commercial airport is Hobby Airport in Houston, approximately 40 miles away (70 miles from Intercontinental Airport in Houston). From Houston, take I-45 south to Galveston. Turn right on 61st Street to Seawall Blvd., then left to the resort, located next to Gaido's Seafood Restaurant. Late check in fee is 50.00 U.S. dollars. Cash or Credit is accepted.